This post is sponsored by National Pest Management Association (NPMA) and PestWorld For Kids. Looking for an interactive and fun way to teach students facts about insects and other pests in your classroom? PestWorldForKids.org is just what you’re looking for then. 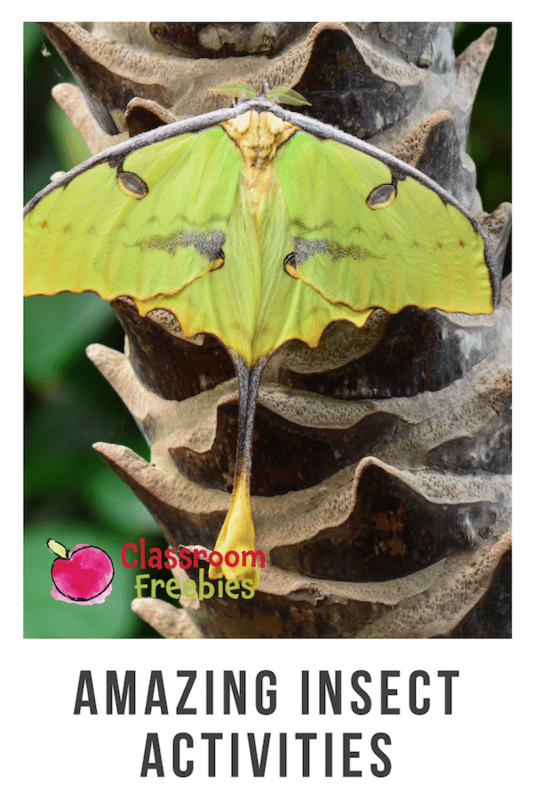 This free site is filled with lesson plans, a wide variety of crafts and projects, and interactive games to make learning about all different kinds of insects exciting. 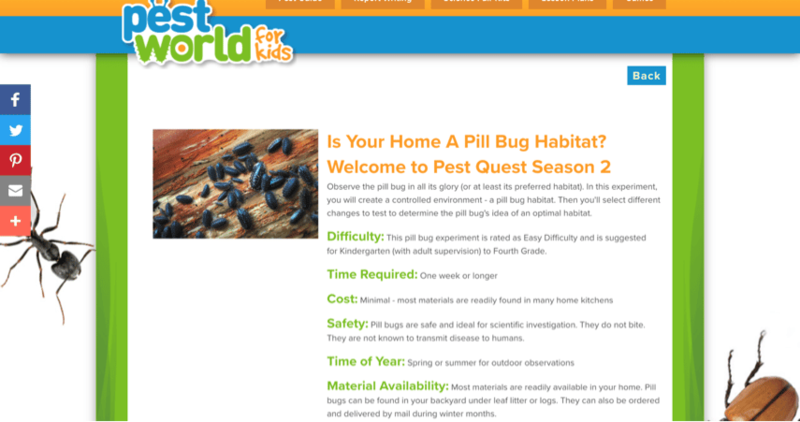 Pest World For Kids offers a range of lesson plans for students in elementary through middle school. 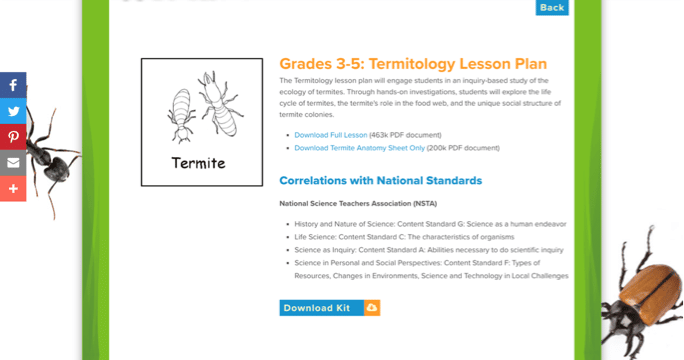 All the lesson plans featured on the site include how they go hand-in-hand with national standards from the National Science Teachers Association (NSTA) and the National Council of Teachers of English (NCTE). This ensures that the lessons will easily fit into your curriculum for the year, making preparation easier for you as the year gets busier. 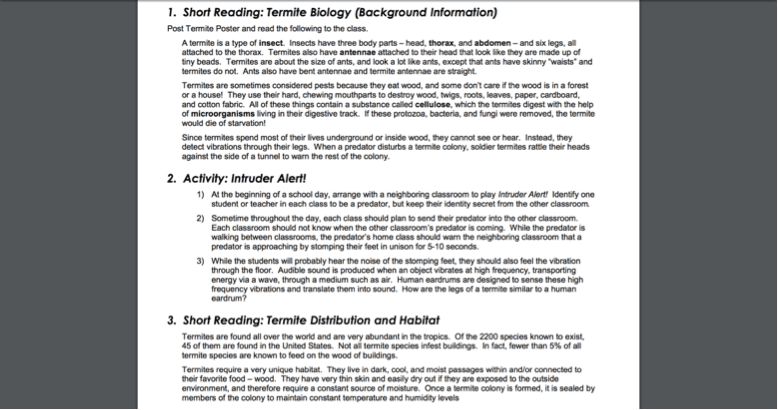 Each lesson plan includes different activities, readings, and are full of interesting insect and pest facts whether the lesson is about the life cycle of a termite or just learning about the hundreds of different kinds of insects. The lessons also include different materials, such as diagrams, worksheets, or anything else that may need to be included. The lessons are mapped out in a step-by-step manner, making them easy to follow along with, not just for students, but for teachers too. PestWorldForKids.org also has the preschool teachers out there covered too! They have super fun worksheets for letter practice, counting for math, and even color by numbers. 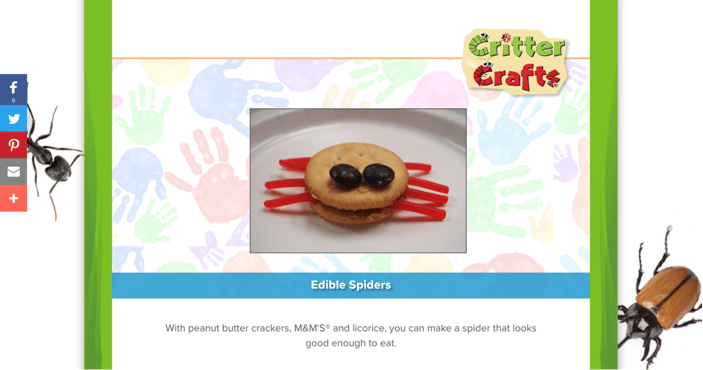 The content on Pest World For Kids doesn’t stop at just lesson plans, but they also provide insect-related crafts to do in the classroom or at home. How fun is that?! There are a variety of crafts ranging from paper crafts covering different species of insects and other known pests to edible creations. Each craft provides a reference picture along with easy to follow step-by-step instructions to ensure that your craft comes out looking just as good as the one in the picture. There is also a printable version of the instructions provided for each craft listed. Some of my favorites are the paper inchworms and even though spiders are not insects, the edible spiders are also fun! Pest World For Kids also offers a section for science projects that can be done in the classroom or at home. This becomes super handy when you have a class full of 30 students who all have “no idea” what their science project should cover. Projects for Kindergarten through eighth grade are listed, giving you options for each grade level and the content, whether you need something to cover where insects live, or the life cycle of an insect. Each project provides straightforward information concerning the difficulty, time needed, cost, safety, and material availability to ensure that the project fits within your students’ or class’s requirements. Perfect for students and their parents! 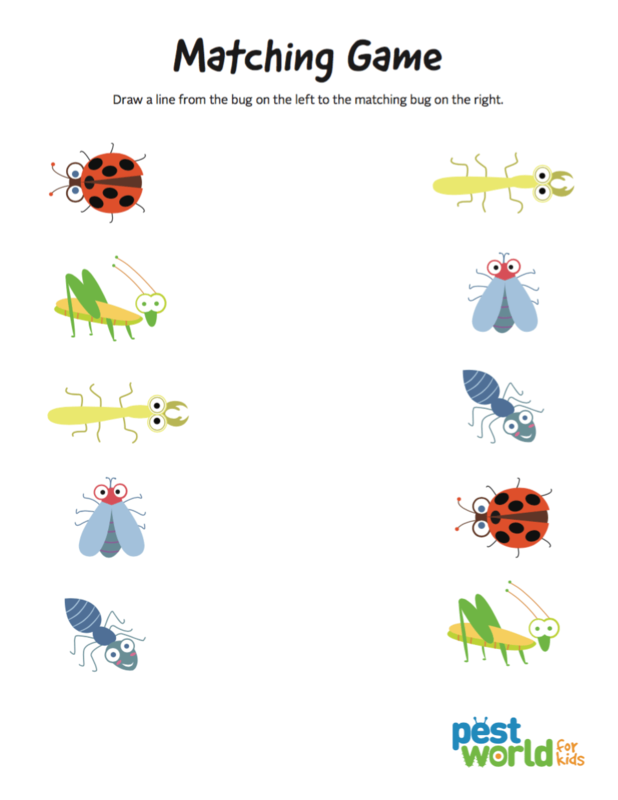 The free kit that is downloadable for each science project is easy to follow and includes printable materials such as diagrams, charts, graphs, and anything else that may be needed to aid you and your class in experimenting with insects. Similar to the lesson plans, the science project kits also describe what national standards they go along with at the end of each one. Not only does this site include materials for use inside the classroom, but also provides an interactive experience for students to use at home through games and a pest guide. 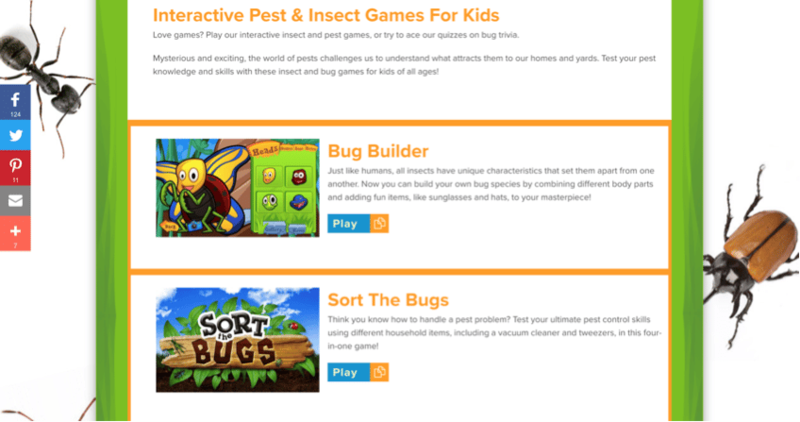 Students can choose from a variety of games that cover topics ranging from sorting different species of insects and pests to playing to help insects eat. Not only does the site provide fun and interactive games, but also features videos, Pest Quest, covering a variety of different subjects all revolving around pests, insects, and wildlife. The interactive games don’t have to be played on a computer, but can even be played on a variety of devices from tablets to phones. Pest World For Kids provides a great online space for students and teachers, whether the goal is to find interactive games, crafting ideas, science projects, or lesson plans relating to the world of insects. It provides a wide array of materials for teaching or learning facts about insects all in one place. What part of Pest World For Kids will be most useful in your classroom? Let us know in a comment below!